Germany saw a record two million ‘foreigners’ arrive in 2015 – more than the number of asylum seekers who came between 1954-1989. According to the head of the Statistics Agency, however, it could be a conservative estimate. Numbers released Monday by the German Federal Statistics Office show a massive increase in total migrants from the previous year. In 2014 Germany received some 1.3 million total migrants, increasing by more than 700,000 on 2015. The Statistics Office asserted that the real figures for 2015 could be even higher than officially reported, however, because far from all migrants who came to the country as asylum seekers have been fully registered. The number of asylum applications has been steadily growing in Germany since 2007, but no one could have predicted the steep rise in asylum seekers arriving last year, when the migrant crisis gathered pace. During the Cold War and the era of the Berlin Wall – from 1953 to 1989 – Germany saw around 900,000 asylum seekers arrive in total. Last year’s figures show a doubling of that in just one year. The period after the fall of the Berlin Wall, from 1990 to 2014, also saw 3.2 million asylum seekers. That could be eclipsed this year according to experts such as noted think tank SAT, which says the worst case scenario number could be as much as 6.4 million by the end of the year. While the total number of arrivals is around 2 million, the rate of emigration was around 766,000, meaning that the presumed number of foreigners living in Germany permanently has increased by approximately 1 million to 9.1 million. The jump is huge when considering that as of 2014 the foreign population of Germany was 8.15 million. So, within a single year, it increased by over 12 per cent. The total population of Germany is estimated at around 80 million people, making more than 1 in 10 people in Germany a foreigner. The mass migration of foreigners to Germany has also reached another milestone. More foreigners entered Germany in 2015 than children born in the country. 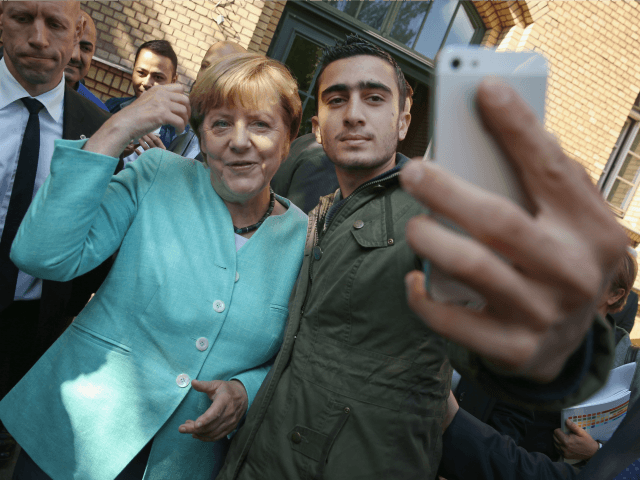 The two million migrants exceeded German birthrates by a large margin. In the past decade Germany has seen an average of 700,000 total births per year, which does not amount to half the total migrants who came in 2015. The Federal Statistical Office now believes that at least a third of German children may have an immigrant background.